Ankle boots are my favourite form of footwear. They are so useful. I think I need to buy some new style ankle boots for Autumn. They look great with trousers and I have even been brave enough to wear them with dresses and skirts. I was a bit reticent about this at first, as my legs are not my greatest feature however if you get the length of the skirt/dress to stop at the most flattering part of your legs and get the proportion right it can really update your outfit. I only wear this look in winter when I can add opaque tights otherwise you need to faff around with fake tan. The photos above were taken a couple of years ago. 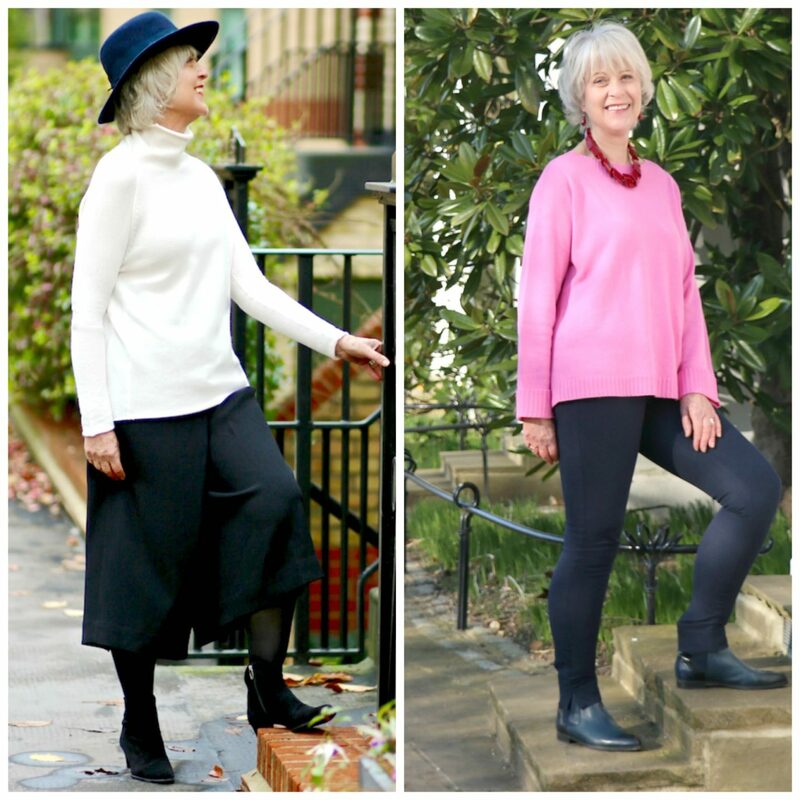 On the left, I am wearing a suede pair of ankle boots and on the left a dark navy pair. Both the sweaters I am wearing are by WinserLondon. 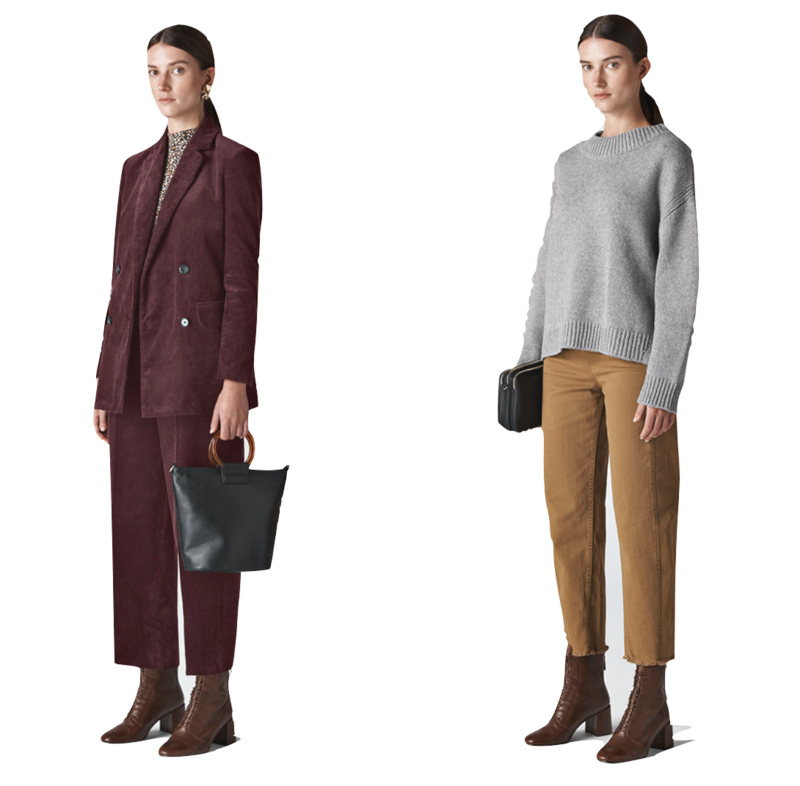 They do great knitwear and have similar styles this season. My pink Audrey cashmere sweater is available in this seasons colours. This season there are so many choices that you do not have to stick to plain black. I fancy a red pair or maybe a leopard print. It is difficult to decide. 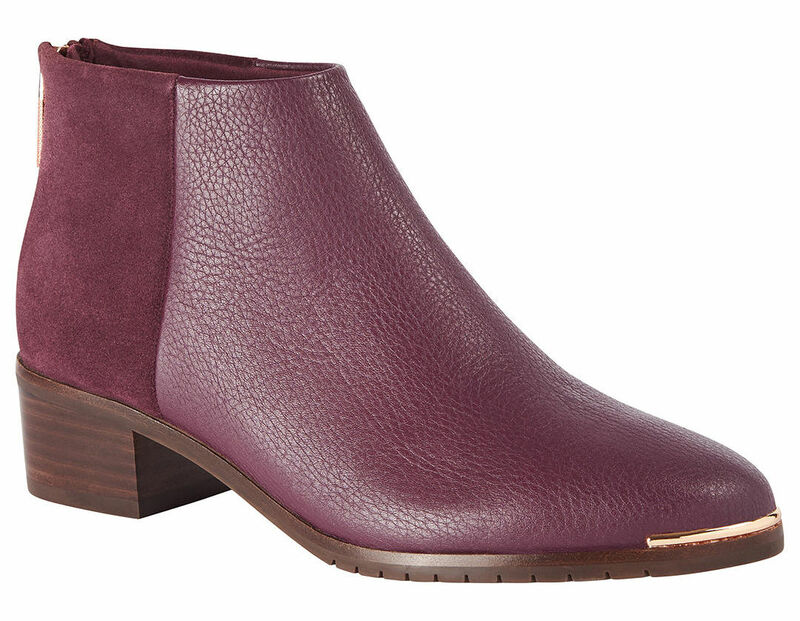 John Lewis burgundy ankle boots I love these burgundy boots by Ted Baker. They would do so well wit my new burgundy trousers. 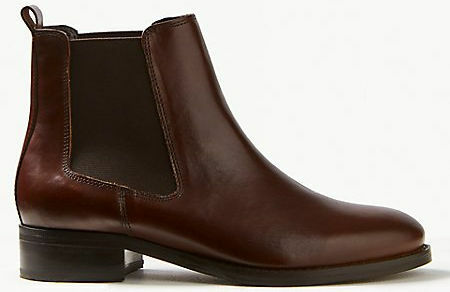 Brown ankle boots from MarksandSpencer. Marks&Spencer have an excellent range at good prices. I find their boots and shoes very comfortable and good value for money. 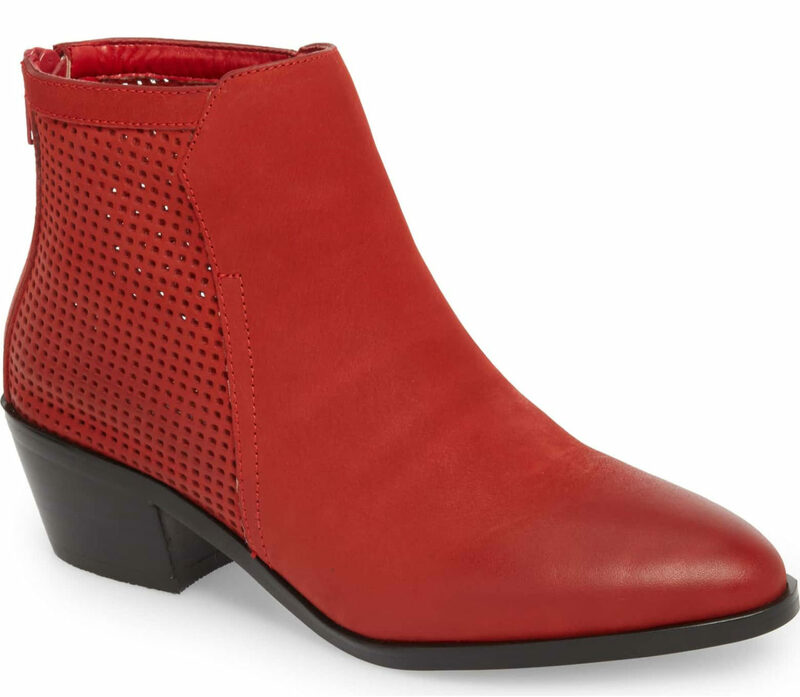 Do you like to wear ankle boots and if so how with trousers, skirts or dresses? I agree and miss the amount of time we can wear them in Florida! 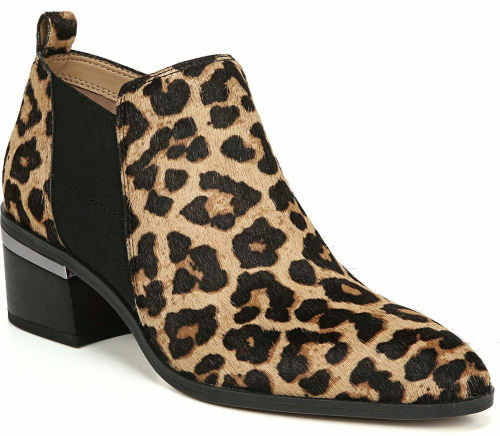 I too love ankle boots and I am looking for a pair with leopard print with a bit of a heel. 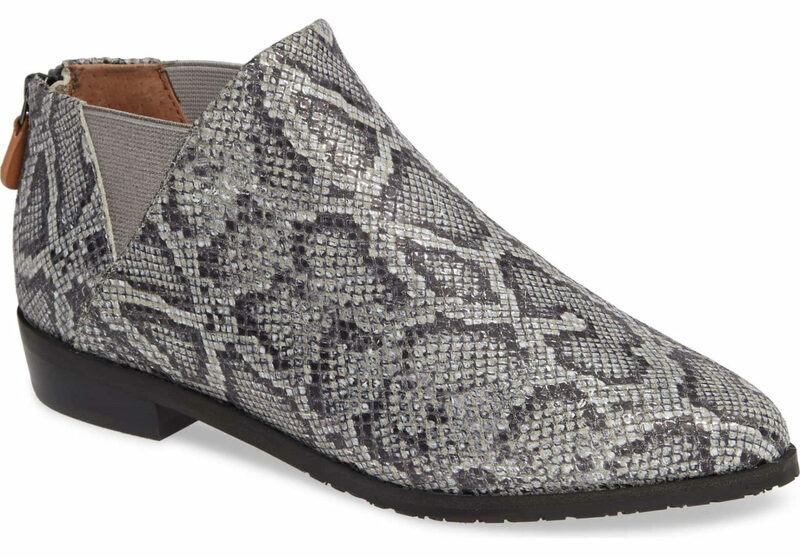 I think the Nordstrom ones are just the ticket! Ankle boots go so well with ankle grazer trousers. Thanks as always for your tips. I”m uncertain how to wear the shorter trousers E&M with ankle boots. Tight above or sox and black as the boots or a contrast? Puzzled…. thanks for guidance! I am not really a fan of a gap between ankle boots and trousers. In the UK winter it is a bit chilly. You can get ankle boots which are higher otherwise I think I would favour a same colour tight or sock. 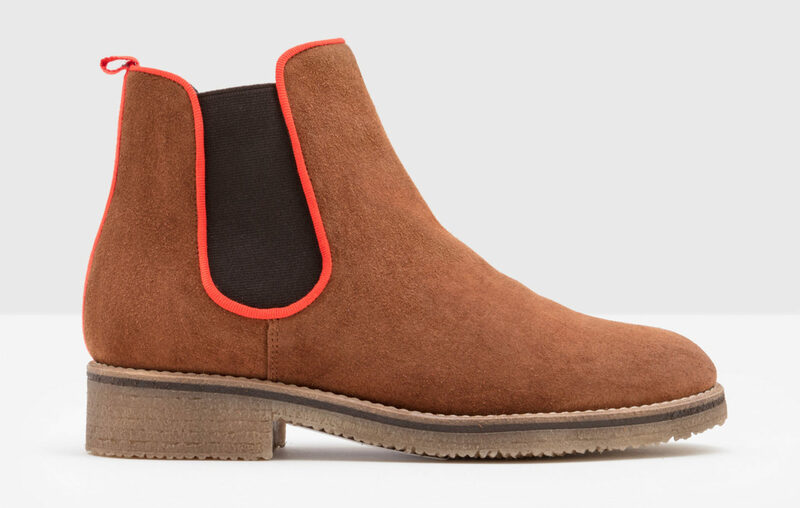 Does anyone else need to wear ankle boots with laces as i find zip up ones slip at the ankle? Or any advice please? I have never been asked that question before. 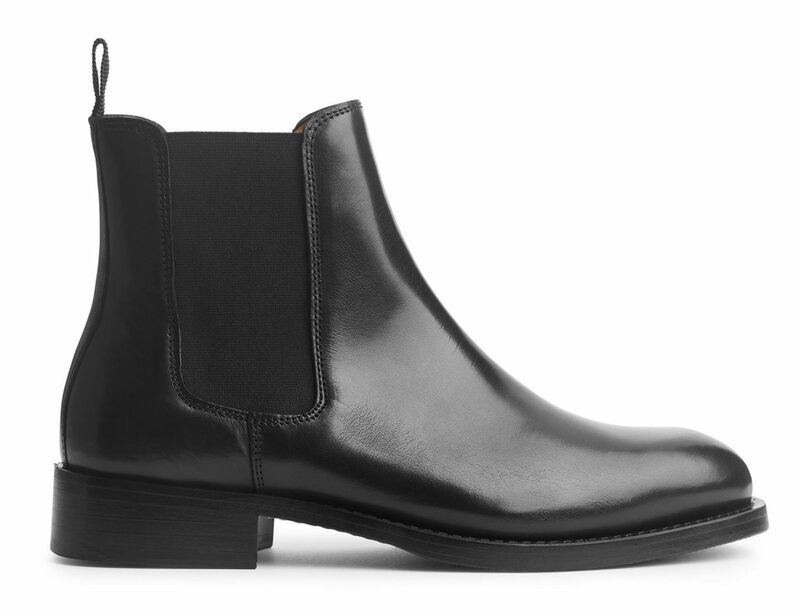 Have you tried the Chelsea boot which has elastic at the side which should grip better. I was out today and saw as pair of boots with elastic at the back which might solve the problem. All boots are different it might be a question of trying on a few till you find a pair that grips the ankles better perhaps with as zip at the back. Nice selection – I love the leopard print. I have to say that I disagree about the fake tan if you don’t wear tights. I’ve started embracing my paleness! Anything I can do to save money, time or messing about with things is for me. Also, not pretending to be tanned, like not pretending that my hair isn’t graying, is really freeing. Take me as I am! Good for you. I am with you on the graying hair, which mine is. I don’t mind pale legs mine are just not that great, blotches and thread veins which I prefer to cover. I like the look of your red necklace…I have looked all over for something like that. Is that another of your St. Tropez finds? Love to wear ankle boots. At first I was unsure with skirts, but have done so all through our winter in Australia. So comfortable, I can walk miles. 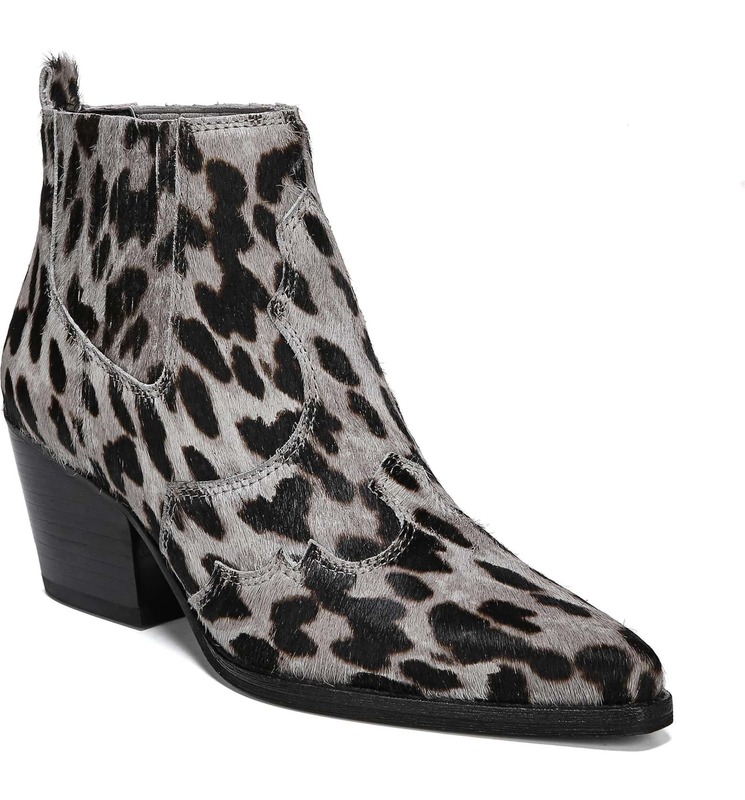 I do like the grey leopard Nordstrom boots featured above. I do like your suggestion to have more than one colour. Lookout next winter!